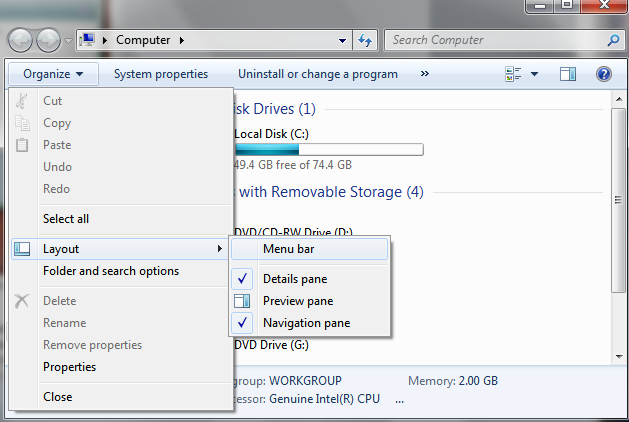 By default, Menu bar is not shown in Vista. To make it temporarily visible just press [ALT] key. But if you want the Menu bar to be visible at all time then just click the Organize button on the toobar, select the Layout submenu and check the Menu Bar as shown below. 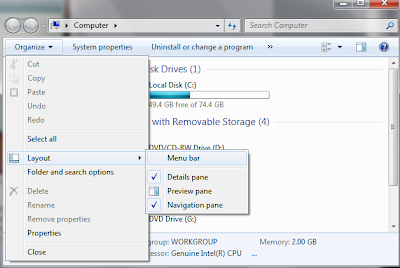 The Menu Bar is no longer visible in Internet Explorer 7 either but you can use the same trick to reveal it.